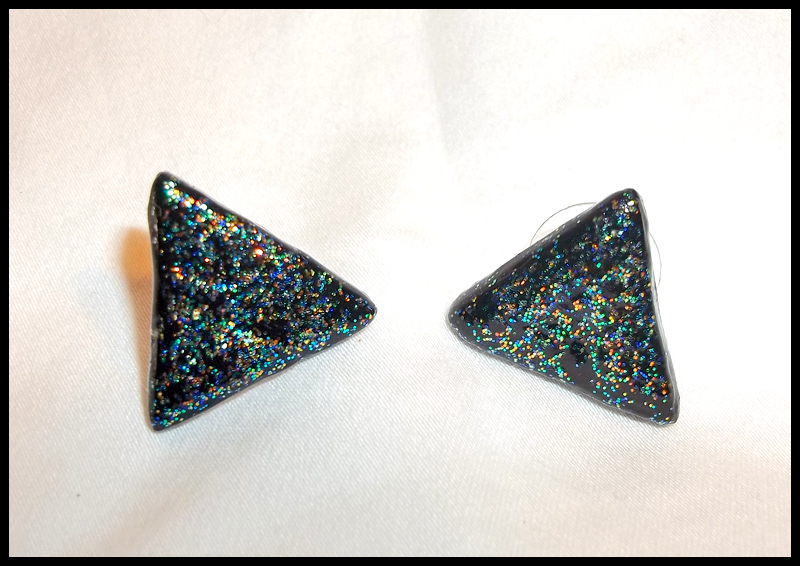 Black Vinyl Triangle Stud Earrings! Triangle pendants covered in fine glitter. Made from a black vinyl record. Stud earrings.